In a decision handed down by the Tokyo District Court on Thursday, Apple has been ordered to pay $3.3 million to a Japanese inventor for infringing on patents with technology involving the iPod click wheel. The patent in question was filed by a company owned by Japanese inventor Norihiko Saito in 1998, some six years prior to Apple's launch of the click wheel on its iPod lineup in 2004, reports Kyodo News. Thursday's suit is the result of multiple court actions spurred by Saito's request to Tokyo Customs to ban the import of iPods with click wheels. In response, Apple filed its own suit to confirm that the feature did not infringe on existing patents. Finally, a countersuit lodged by Saito demanded damages for 100 billion yen, or roughly $1 billion at current exchange rates. Presiding Judge Teruhisa Takano denied the huge award, instead granting the $3.3 million in damages partly based on the iPod's massive sales. Apple first introduced a click wheel-toting iPod in the device's fourth generation, combining a capacitive surface with mechanical mechanisms for easy one-handed control. 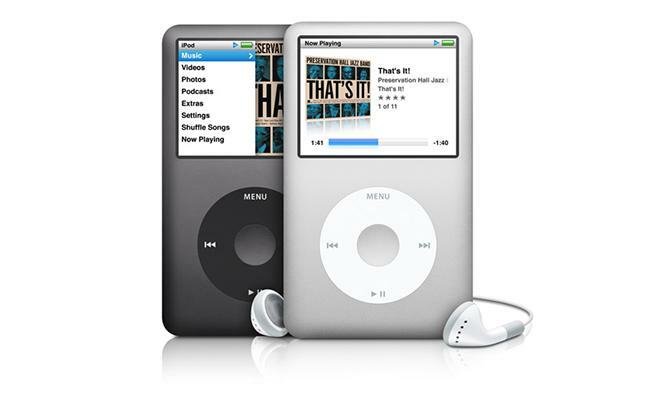 The component carried through the iPod lineup as new models were released, including the iPod Photo and Color, mini and all nanos up to the sixth generation. When the iPod touch was introduced in 2007, Apple slowly began phasing out the click wheel as multitouch screens provided an overall better user experience with enhanced functionality in a smaller package. Today, the only iPod using the click wheel tech is the iPod Classic, which has not seen a major design refresh since it launched alongside the iPod touch. Prior to today's decision, Saito attempted to settle with Apple out of court, but a suitable agreement could not be reached.